Granby’s Women’s Novice 8+ and Men’s Novice 4+ are 2016 State Champions. 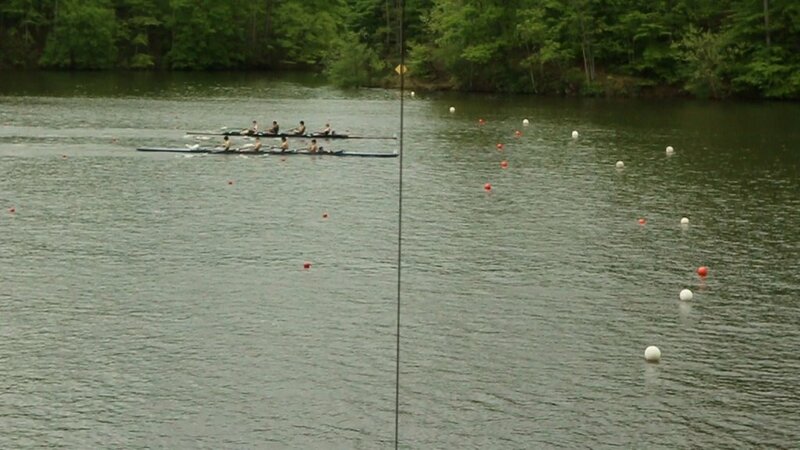 Check out the photo finish for the men (click to enlarge), and the dominant victory by the women (filmed by another team) below. 15MAY – Well done to all our VSRC participants. Congratulations to our W2x and M4x for their bronze medals, and to our WL4+ for their gold. See videos below. 5MAY – EVSRA trophy results are official. We won the Efficiency Cup handily (91%) over Great Bridge (82%) and Norfolk Academy (68%). We got our highest every finish in the Thomson Cup, second place (265pts). First was Norfolk Academy (307pts) and third was Great Bridge (230pts). 1MAY – Results from today (2016 EVSRA Championship Finals). This is amazing work everyone. Let’s finish the year strong. Get your homework done and get to sleep. 30SEP14 – This is rowing perfection. It’s never too late to join. Granby Crew is always recruiting novice rowers and coxswains. No prior experience is needed. There are no try-outs. There are no cuts. If you’ve got the drive and enthusiasm to keep up with us, we’ll help you become a competitive athlete. Just ask the members of our 2015 State Champion Men’s Novice 4+ (video below). If you want more info, start by looking at our Frequently Asked Questions (FAQ) page. Can’t find the answer there, email Coach Paul at pacman1224@gmail. Looking to convince your friends to join, try sending them to our Recruiting and Recruiting Video pages. Here’s video of 2014’s WN4+ winning States. The video was taken by Langley Crew, so you don’t get to see them cross the line. Still fun to watch.